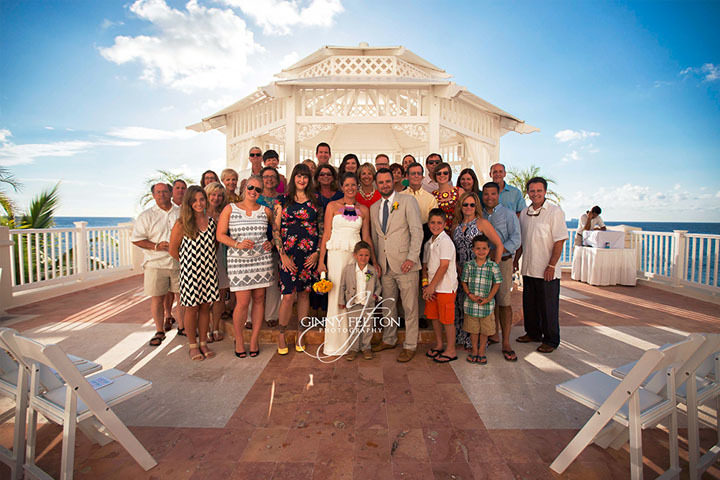 My husband Cameron and I got married at the Cozumel Palace in June of 2014 and could not have been more happy with our experience. 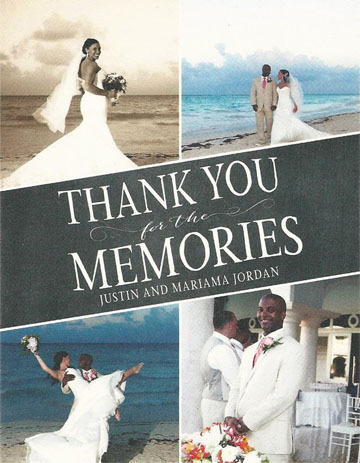 A destination wedding was definitely the way to go for us and Lia was a great asset in our planning. Throughout the process we felt completely at ease as she handled some of the most important details of planning for this special time. From her first recommendations of resorts and destinations to her help arranging travel for our closest family and friends we always felt grateful having Lia on our side. 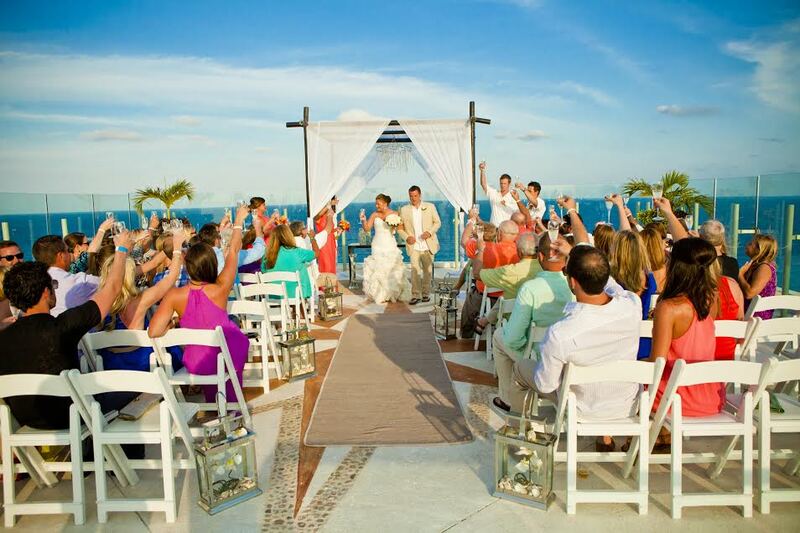 We highly recommend Lia Vincent and Palace Resorts for your destination wedding! Lia was very helpful for us in planning our destination wedding to Ocho Rios, Jamaica. We had gone through a few other travel planners first who didn’t seem nearly as interested in our needs. We really appreciated the way Lia helped us navigate through some of the complexities, including the local laws of Jamaica and the planning with the resort itself. Even once we got to the resort and ran into a few snags, Lia was able to quickly get those resolved very quickly. 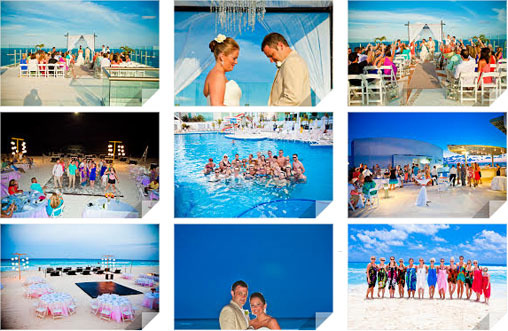 We would highly recommend her for anyone planning a destination wedding or any other vacation. Thanks, Lia, for making our destination wedding the most special day of our lives. My husband and I got married in Puerto Vallarta, Mexico right off the beach. It was pure bliss, and everything I could have ever dreamed of! 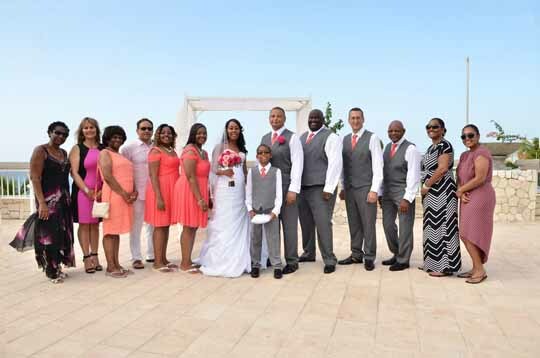 I may be biased, but destination weddings are certainly the way to go and thanks to our wonderful Travel Agent Lia Vincent at Vincent Vacations, we were able to find the perfect place! I had the opportunity to be able to edit the straight out of camera photos from my wedding! Here is a glimpse of our wedding day in paradise! This was the best and easiest decision we made about our entire wedding! Lia is the absolute best, extremely intelligent, hard working, and so caring. She truly makes you feel like you are her only client throughout the entire process. 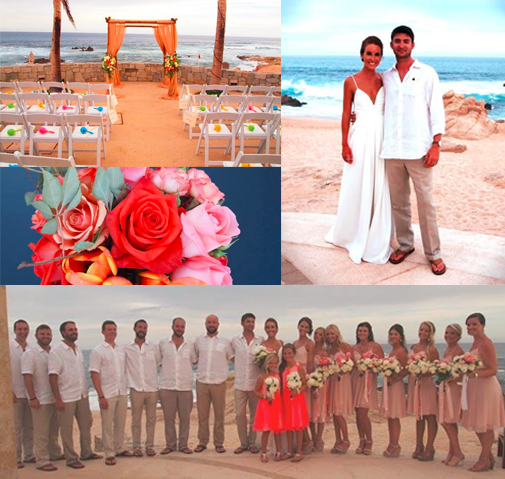 We had about 120 people coming to our Cabo wedding and even had to switch resorts, visitors coming from all different states and even Europe. She was calm, and kept the bride and groom calm! 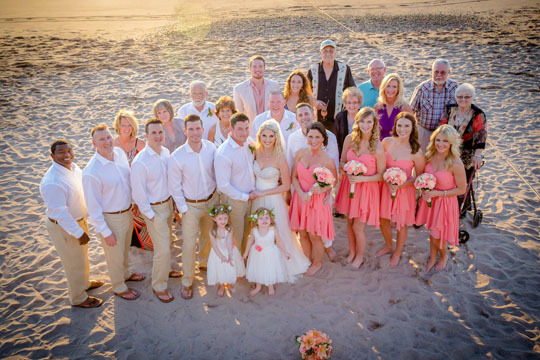 Every detail was taken care of and it was made to be the most perfect wedding! I have never used a travel agent before Lia. I have always been the “I can do everything cheaper by myself on the internet” type person; most of the time, it works great. When my husband and I decided to have a destination wedding, we were not sure about anything — number of guests, length of stay, etc; we also have very demanding jobs, requiring constant travels up until the week before our wedding. So we thought that a travel agent may be a lifesaver; as it turned out, she was. 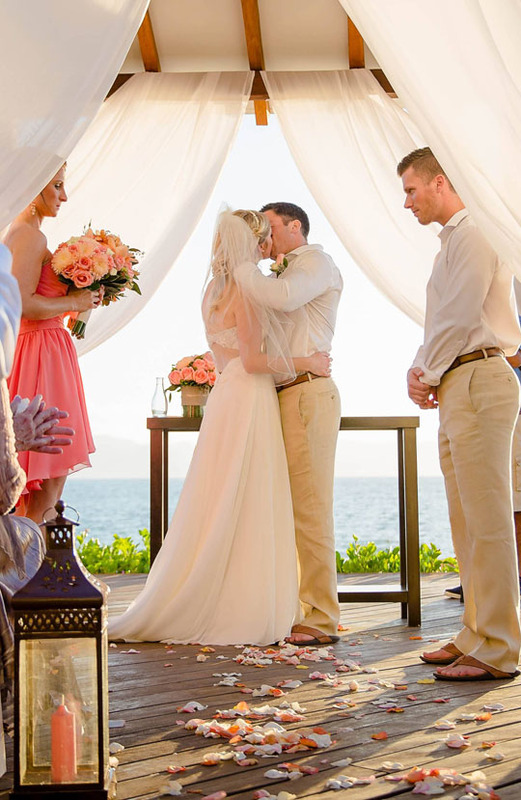 Lia was endorsed as an expert in destination weddings on the American Express Travel website. Although she lived over a 1,000 miles away, I felt comfortable. As I am not a “girly” person, wedding planning was not my thing; however, party planning and event coordination are. Lia and I treated this “event” like a business and I loved that about her; I needed someone to be truthful and provide honest advice. As it is with my job, I like corresponding via emails because I can have all the information on hand and in writing at all time; Lia always accommodated that, and always very promptly. I’m not talking about several emails over a few months; I’m talking about over the course of over a year. Lia was there to provide support when I had a hard time reach the wedding coordinator; she was there when I freaked out at the resort regarding my brother’s return transportation (as it turned out, my brother spoke with the wrong transportation company); she was organized to be able to provide me with spreadsheet of all guest arrival information; she always submitted my requests to Classic Vacation and the resort promptly. James and I cannot thank Lia enough to make everything go smoothly for the biggest event of our lives. All 48 of us had such a great time that we absolutely see another group vacation in the future. We just got back from an AMAZING wedding weekend yesterday. I can't begin to thank you enough for your help and support during the entire process. Everyone had a great time. It truly was one of the best days of my life and I can't believe how stress-free it was once I got there. Thank you Thank you! Lia, thank you very much for all of your help with our PERFECT wedding vacation! We had the most amazing time at our wedding. Our guests are still talking about what an amazing trip it was! Thank you for your help with organizing this unforgetable time for us, we cannot wait to put our pictures in our new frame! 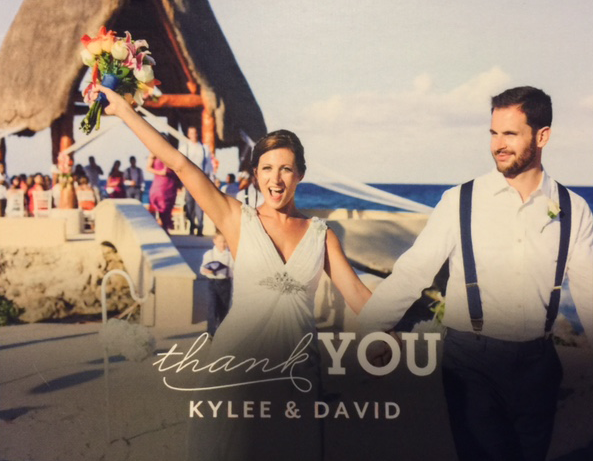 Thank you so much for taking such great care of us and our guests for the wedding! We couldn't have done it without you! Can't wait to plan that Honeymoon!! As soon as Jimmy asked me to marry him, I knew we would want a destination wedding. We love to travel, and we love the beach, so there was no more perfect place to start our lives together than a beach in Mexico! I am not the wedding planning type, and I knew that with a destination wedding, we could get someone else to plan the details for us. 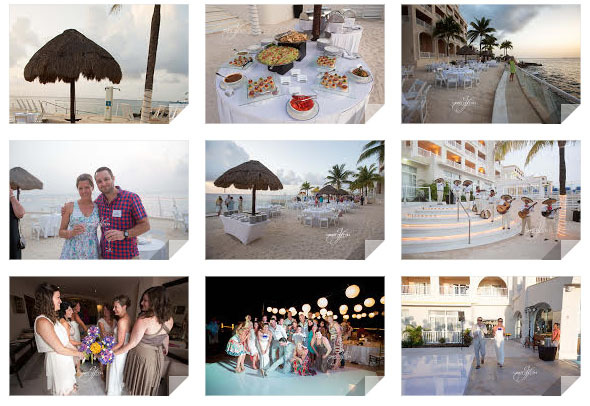 Luckily for me, my friend Lia at Vincent Vacations specializes in Destination Weddings. Lia had taken care of trips for us in the past, and I knew she was the perfect person to help me plan this trip. I was right! She helped me look through destinations, and we found the perfect spot: Dreams in Puerto Vallarta! The package came with a wedding planner, who took care of the details for me. 21 of our friends and family came with us, and everyone loved the resort. Our party ranged in age from 7 to 82, and everyone agreed it was an amazing trip. There were activities for the kids, and plenty of excursions for everyone to choose from. The staff was wonderful, and pampered us from the time we arrived. One of my bridesmaids had a broken foot and was on crutches, and was in a wheelchair some. The hotel staff assisted her anytime she needed it, including carrying her and her wheelchair up and down large flights of stairs. They were amazing! All the rooms are ocean front, with beautiful views. Jimmy and I stayed in the "Preferred" tower, and our room came with a great balcony with a hot tub! Most of our guests stayed in the other tower, but the resort is small enough, this was not a problem at all. They all loved their rooms as well. The wedding planner met with me in advance to work out the last minute details and timing. When our wedding day came, everything went perfectly. 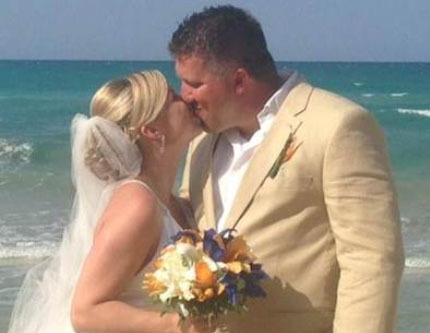 We got married on the beach right in front of the ocean. We had a sound system and a dj who played all the songs that we picked out in advance. My Dad is a minister, and he performed the service for us. We had 21 in our wedding party, but it felt like a much bigger wedding because lots of people watched the wedding. You could see people everywhere on their balconies watching, which made us feel like rock stars. We had a Mexican band that played a few songs after the wedding. The wedding came with a photographer and videographer who did amazing job! We took pictures right after the wedding, then we had dinner which also came with the wedding. We had steak and chicken which tasted great. Of course, I also asked them for chips and guacamole. (I love the guacamole in Mexico.) They were happy to oblige. They provided the wedding cake after which was amazing. After the wedding, my husband and I stayed for another 4 days, and it was paradise. I could not have asked for a more beautiful place to get married, or a less stressful way to do it. Thanks Lia and Vincent Vacations for making our special day an amazingly unforgettable experience! Lia was a phenomenal help from the beginning. She was referred to me by a friend, and I was incredibly thankful that we used her. When we started planning, we became overwhelmed with all of the information that is available. We met with her for about 45 minutes one afternoon, took her pictures of spaces we had seen online and liked, and gave her a list of our “must-haves,” a list of things that would be nice but didn’t matter too much, and a list of things we absolutely did NOT want. She kind of thought about things for a minute, and then listed 3 resorts that fit every single one of our needs. She then ran sample pricing from EVERY location our guests would be traveling from so we could figure out what best fit our and our guests’ travel budgets. 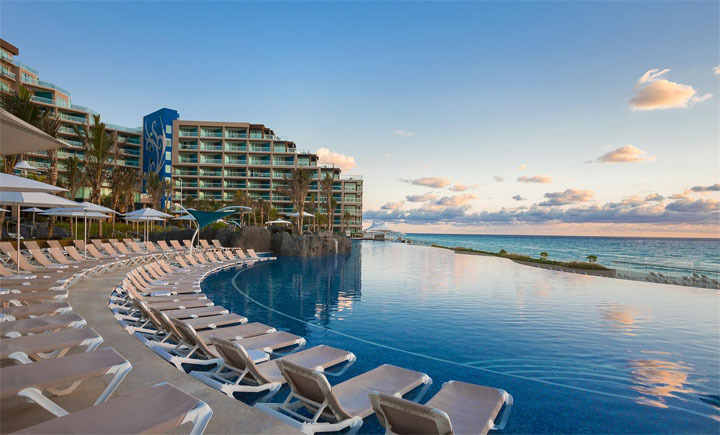 After about a million more questions from me, we finally settled on her initial recommendation, the Beach Palace in Cancun. As we went through the process, any time I had a question, problem, or was just worried about something not being right, she was my go-to person. I’m not kidding, she would answer me in like, less than an hour 99% of the time. She even took my file home one weekend to give me more time to figure something out before she ran credit cards and got it booked. She was a Godsend! I am truly so grateful for you and all of your help! Le Blanc was amazing! NOTHING could have been better, except maybe the weather, but the staff, food, and service were above and beyond! We will definitely go back there!! Love, Love, Love you for all of your help…Can NOT thank you enough!! "It was beautiful! Everybody had a fantastic time!" The staff was wonderful, the rooms were gorgeous, and the food was AMAZING! 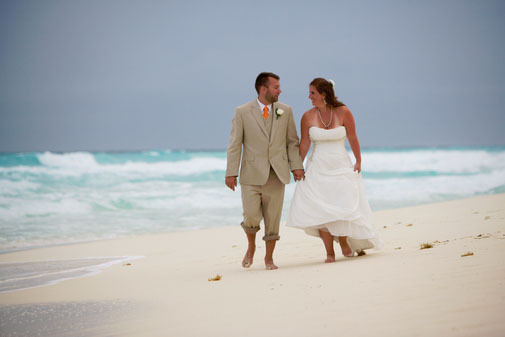 Our wedding could not have been more perfect and if you have any brides that want a beautiful wedding on a budget, The Excellence Punta Cana would be my number one recommendation. Emy and Livia were fantastic and everything was just PERFECT! Chris couldn't even believe how wonderful it was. Lia being referred to me saved me so much wedding planning mental anguish! I had tried with a few other travel agents before I had two different people give me Lia's name, and with each of the previous TAs they had to look into things and call me back (I'm still waiting for those calls). Getting in touch with Lia was a whole new experience, she answered all my initial questions in that first phone call, had so many recommendations, and it was obvious she knew exactly what she was doing. By the time we hung up the first phone call, I had decided on a destination and venue (per Lia's suggestion). She was a God send! A year later, we are still having people talk about what a great trip it was and people are always amazed by what a great turn out we had. We ended up with about 60 people, all booking through Lia and everyone had a flawless experience. One even asked for her name when planning her destination wedding a few months later and was just as pleased! Lia told me a lot through the planning process that I was such a laid-back bride, but it really was because she left me nothing to worry about. She answered any question I had, was always quick to respond to calls and emails, and helped me plan the most perfect wedding ever. I wish I could re-live it all again!! 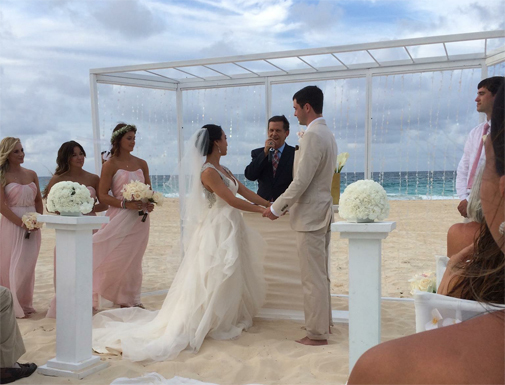 Lia with Vincent Vacations helped us plan our destination wedding in Riviera Maya, Mexico. We had a total of 11 people and she helped each of them set up their arrangements. From the beginning she was so helpful and always quick to respond. She made the entire process a breeze. 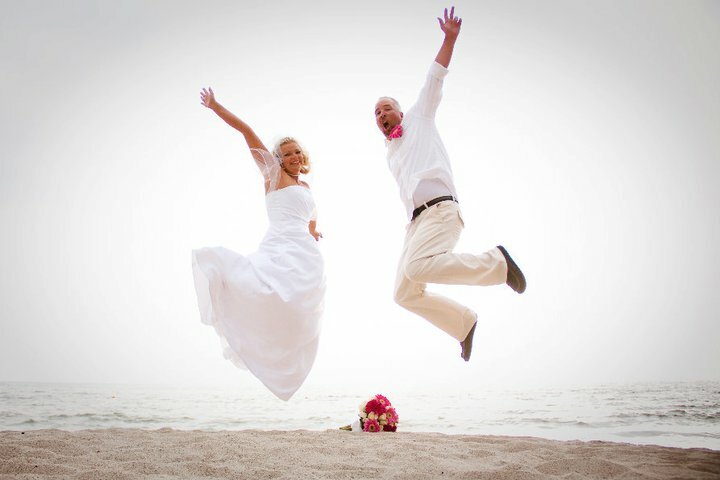 She communicated with the wedding coordinator at the Riu Palace and made sure everything was just like we wanted. We did not have any issues at all, thanks to Lia and all of her thorough planning. Each of our guests bragged on her and said how easy it was to work with her. I would recommend Vincent Vacations for all of your planning needs whether it be just a short vacation or a destination wedding. She knows what she is doing and will make sure all of your questions are answered and that you have the best vacation.